“We will reflect on our identity as disciples of Jesus — followers of Christ — adopted children of God,” he notes in the introduction. A key part of the pastoral looks at “our freedom to be who we are as followers of Christ, and some of the challenges of our age as we try to live and share our faith,” he says. Chapters in the pastoral deal with the gift of new life through baptism; reflections on what it means to be a member of God’s family; the ways by which people can see the presence of the Catholic Church; what the choice to be a follower of Jesus entails; the impact of God’s mercy in people’s lives and in the world; and the church’s contributions to the wider community. As baptized Catholics, “we are engaged in a new life of the Spirit, so that working in and through us, the Spirit might transform the whole world,” the cardinal said. Catholics “are members of God’s family, his church. … The Catholic Church is the living and saving presence of Jesus Christ in the world,” he wrote. Noting current challenges Catholics face in living their identity, the cardinal pointed out how in many parts of the world, Christians are being murdered because of their faith. Cardinal Wuerl observed how in the United States, laws, policies and practices are being enacted that infringe on the freedom of individual Catholics to live their faith, and on Catholic ministries to carry out their work while remaining true to church teaching. “Claims of discrimination should not be allowed to become the new weapon for diminishing religious freedom and outlawing institutional Catholic identity,” the cardinal said. Catholics and the church’s outreach programs, “must remain true to who we are. … As cultural forces and government actions sometimes make it more difficult for us to carry out our work, we must remain true to our Catholic identity,” wrote the cardinal. 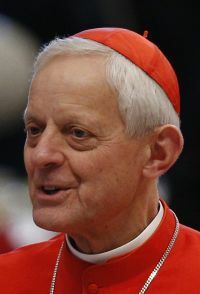 The pastoral on Catholic identity is Cardinal Wuerl’s ninth since he was installed as the archbishop of Washington in 2006. His other pastoral letters dealt with topics such as the new evangelization, Catholic education and confession.